For use with the EasyMate monitoring systems. 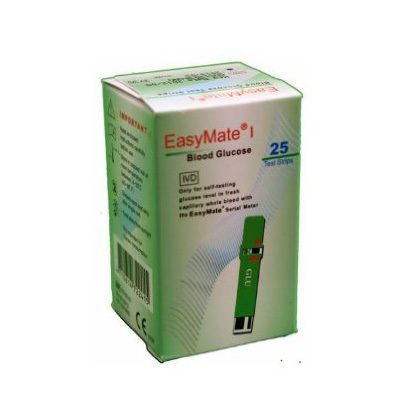 EasyMate Glucose strips are supplied in a fully airtight container and have excellent storage qualities. All strips supplied, have a long ‘use-by’ date.